Seattle : University of Washington Press, c2008. "The Adventurous Traveler's Guide to Health is just what every traveler needs: a straightforward look at what you can do to stay healthy during your travels, from start to finish. Whether headed to the urban centers of Africa or to the jungles of southeast Asia, there are precautions to be taken even before setting foot on a plane, as well as important things to remember once your travels are over." --BOOK JACKET. 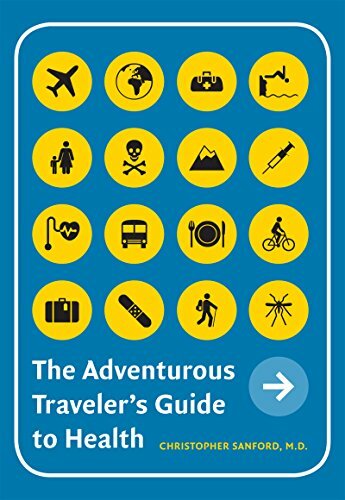 An easy and enjoyable read full of practical health tips for travelers. There are chapters covering what to do before you travel as well as after you return home. A chapter dedicated to traveling with children, a chapter addressing the ever dreaded traveler’s diarrhea, a chapter on what to pack in your medical kit, and even a chapter on flying, among others.